i love all things vanilla!!! YUM!!! Thanks for this recipe. 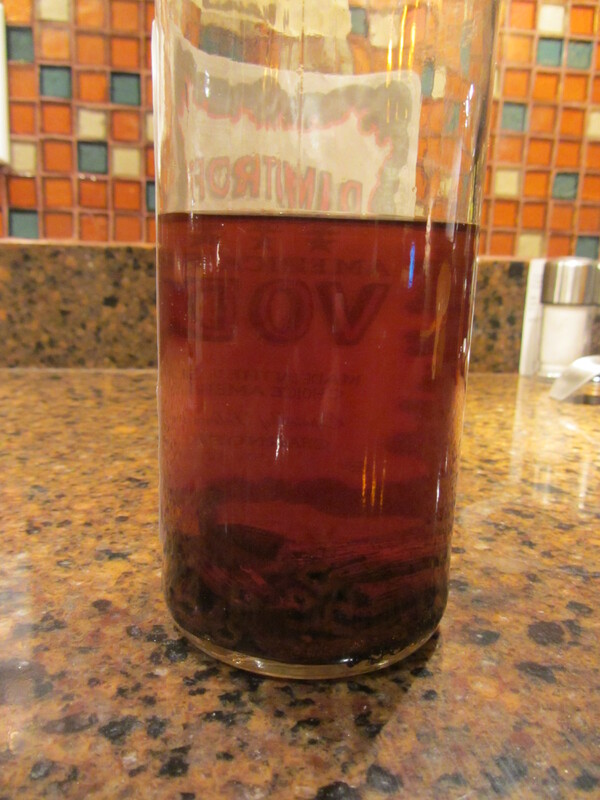 As much vanilla extract that I use, I definitely need to be making my own. I normally buy the little container, because of price, and when I look up, it’s already empty. 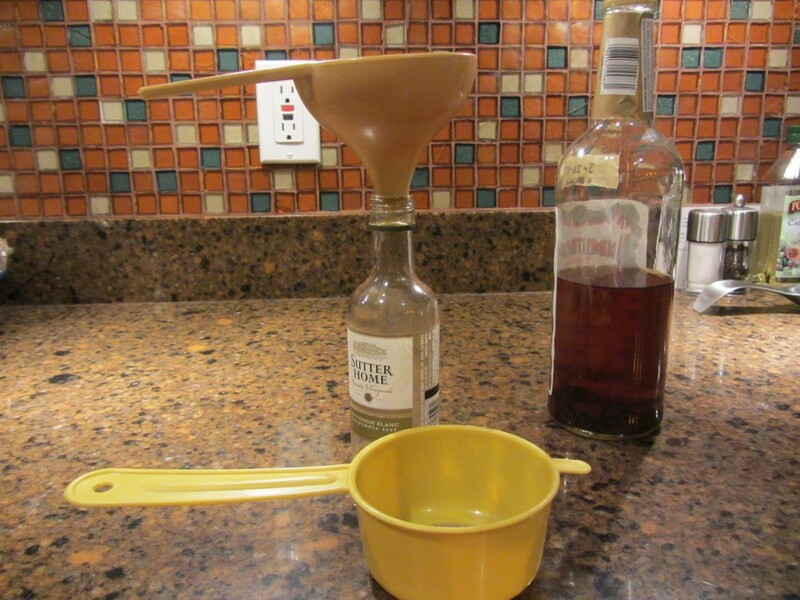 Definitely gonna keep this in mind when my vanilla extract runs out. 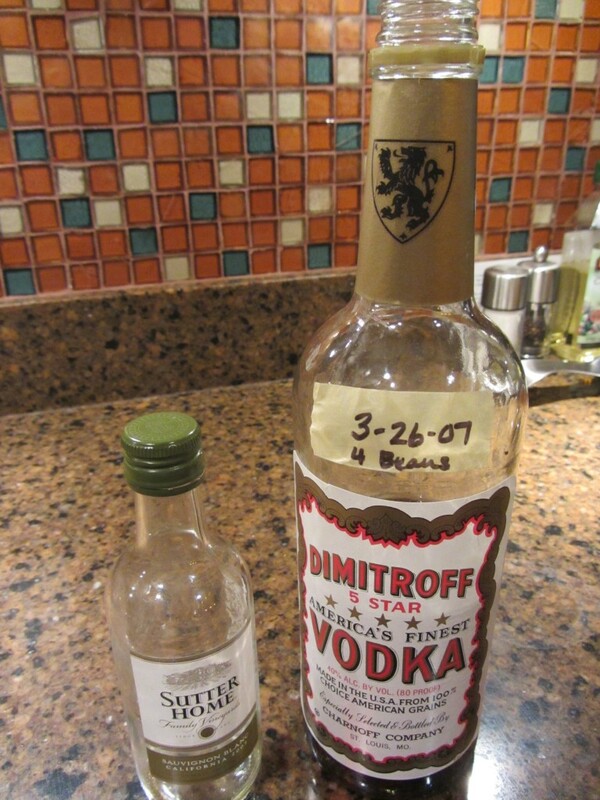 Keep in mind that it takes a few months for the vodka to turn into vanilla extract, so give it a try before you run out. I’ve also had several people do this as Christmas gifts. They make a big bottle, then use small bottles they pick up somewhere (or I’ve suggested reusing the single serve wine bottles which is what I use). I’ve been wanting to try this for a while but didn’t have any vodka. Kept forgetting to buy it. 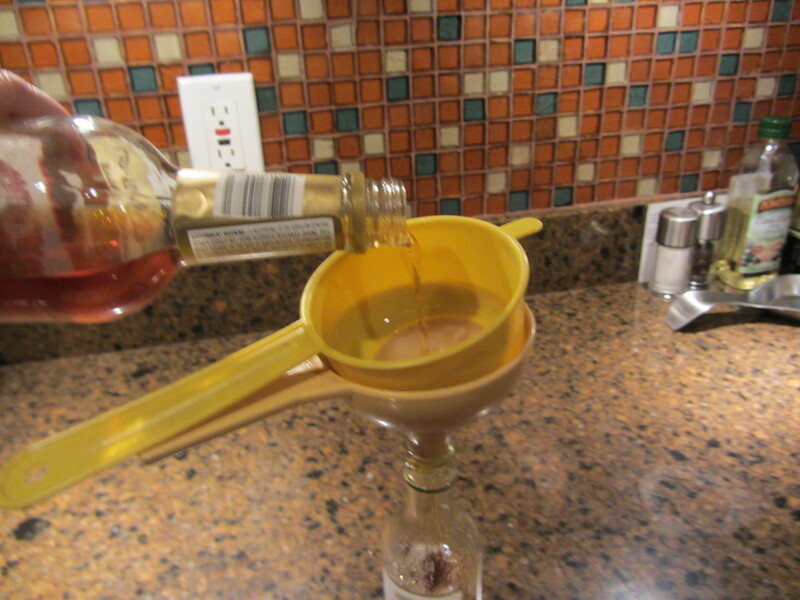 But I do have half a bottle of Courvoisier cognac, so I used that. 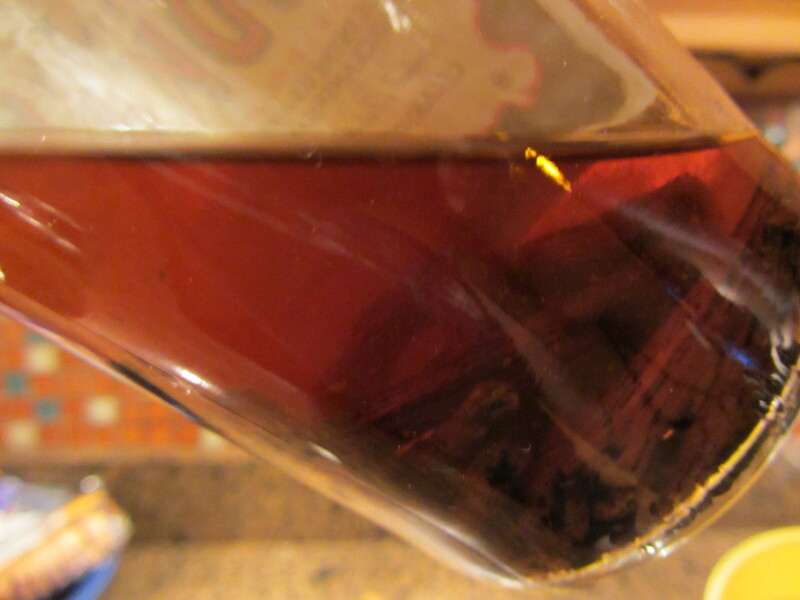 Why waste the cognac that hasn’t been touched in years – it should still make decent extract with maybe a slightly different nuance. I’ll let you know in a month!